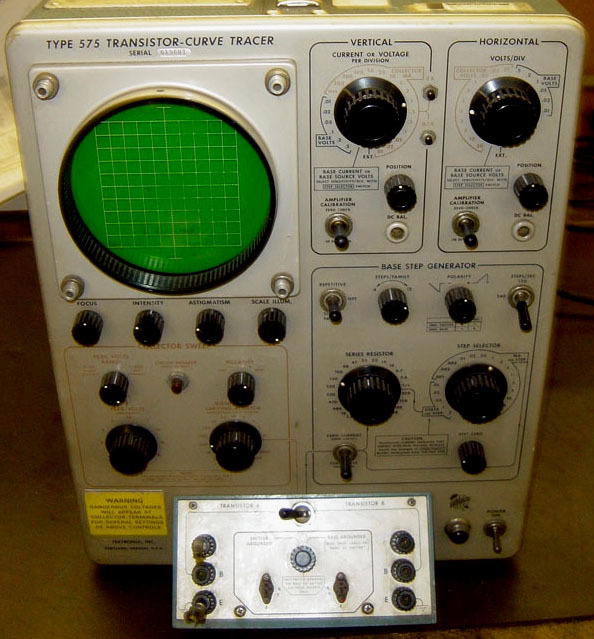 Type 575 Transistor Curve Tracer. The standard instrument for characterizing transistors for many years, the 575 is still a very useful instrument for testing and comparing transistors and diodes. The unit shown has option 122C, extending the maximum voltage to 400V. The 575 can be coupled with a Type 175 adapter to extend its current capabilities for power devices.